We'll be the first to admit it: we love best-sellers. They save us valuable research time and give us a sense of what travelers like us enjoyed in the past! One thing is for certain: whatever your idea of a good party is, you will find it in Europe, if you know where to look. Discover a taste of European diversity by visiting its most popular cities. London? Paris? Berlin? Vienna? We have all these and more. Want to do something different? Add a touch of excitement to your European Vacation? Combine Europe with a visit to one of the exotic countries featured here. Dubai is a sight to see! This cutting edge city is packed with attractions that you will not see anywhere else in the world! From the world`s tallest building (The Burj Khalifa) to the world`s largest mall (The Dubai Mall) and the magnificent man-made islands shaped like palm trees (Palm Jumeirah). See the world`s only 7-star hotel (The Burj Al Arab). Explore the red dunes of the majestic desert, walk along Jumeirah Beach, swim in the crystal blue waters of the Arabian Gulf, or ski down the indoor slopes at Ski Dubai. Browse the Arabian markets including the world famous Gold Souk, or take a traditional arba cruise along the Dubai Creek and wander around the Al Fahidi Neighborhood. 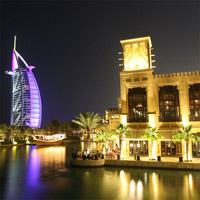 Dubai offers a mixture of old and the new with western influences and its middle eastern charm. This magnificent city boasts a breathtaking skyline with world-class attractions that never cease to amaze its visitors, with a never-ending list of things to see and do. Dubai really is a city you have to see to believe. The enormous constructions and developments in various industries throughout Dubai, innovative real estate projects, sports events, shopping festivals and conferences has attracted world-wide attention for the city, quickly establishing it as the world`s leading business hub. The city expertly blends western influence and eastern tradition; featuring a fabulous cosmopolitan lifestyle. We recommend at least 6 nights in this incredible city to enjoy its full scope. Must Sees include: the Jumeirah Mosque, Al Fahidi Fort with the Dubai Museum, Al Ghusais and Al Soofah along with the fabulous sandy beaches and lush green parks. This is a flexible package. Select your number of nights in each city, desired hotel and activities. Three incredible, cosmopolitan cities with unbelievable rich histories! This once-in-a-lifetime vacation package begins in London (Royal Palaces, lush gardens, bustling shops, trendy cafes, museums); continues to Paris (an undeniably romantic city; walks along the Champs Elysses, fine art museums, the Eiffel Tower) and ends in Dubai (an incredible city leading the world in culture and technology, architecture, food and fun times). Fly between cities. This is a flexible vacation package. Select your number of nights in each city, desired hotel and activities. Two incredible, cosmopolitan cities with unbelievable rich histories! 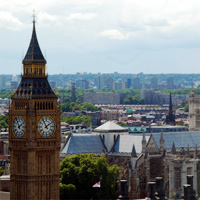 This once-in-a-lifetime vacation package begins in London (Royal Palaces, lush gardens, bustling shops, trendy cafes, museums) and continues to Dubai (an incredible city leading the world in culture and technology, architecture, food and fun times). Fly between cities. This is a flexible vacation package. Select your number of nights in each city, desired hotel and activities. Two worlds in one! Visit sophisticated Paris (The City of Lights with impressive monuments, museums, culture and gastronomy) and exciting Dubai (Blending western influence and eastern tradition, it offers a fabulous cosmopolitan lifestyle and is perfect for those seeking something different: man-made islands, the world`s tallest habitable tower, the world`s largest mall, a rotating tower and much more). Travel between them by flight. This is a flexible vacation package. Select your number of nights in each city, desired hotel and activities. Combine Dubai and Rome with flights between cities. Combine Madrid and Dubai with a flight between cities. A wonderful combination of stunning cities in Europe. Combine Rome (the treasure of Italy; two millennia of art, religion and history) with the more modern Dubai (a fabulous cosmopolitan lifestyle as a result of blending ultra modern influences with eastern tradition) by plane. See all the art, museums, churches, historic palaces, parks and more than you can possibly imagine! This is a flexible package. Select your number of nights in each city, desired hotel and activities. Fantastic journey. Begin this incredible experience flying into Istanbul, which is the only city that involves both Asia and Europe, seize the chance to marvel at its stunning castles, palaces, mosques and mansions including Topkapi Palace, once home to many generations of sultans, then visit Aya Sofya, and Süleymaniye Mosque, do not miss sightseeing the colorful Grand Bazaar and enjoying picturesque views of the city from Mikla. Combine this astonishing adventure flying into Dubai, a glamorous place and one of the most multicultural cities in the word, visit the Dubai Museum, Dubai Marina, and the extraordinary Burj Khalifa, and of course enjoy the lively nightlife. Finally, to bring this breathtaking experience to a close, fly into Abu Dhabi, an invigorating city where nothing stands still, take a glimpse of the Arabian Saluki Centre, marvel at its amazing mosques such as the Sheikh Zayed Grand Mosque, Abu Dhabi Corniche is also worth to sightsee, there you will enjoy the white sandy beaches and the spectacular ocean views. Combine three incredible cities with a wealth of history in this unique vacation package. Begin in sophisticated Paris (The Louvre, Champs Elysees and so much more), exciting Cairo (the Pyramids, museums, rich culture) and sparkling Dubai (where traditional eastern influences meet with the modern comforts of western culture) with a flight between cities.This is a flexible vacation package. Select your number of nights in each city, desired hotel and activities. Three top destinations to enjoy! Begin this incredible experience flying into Tel Aviv, often called 'the city that never stops', was the first modern Jewish city built in Israel, and is the country's economic and cultural center. Then escape to Amman, a city with a singular and bustling labyrinthine 'downtown’, where you can see their imposing Roman Theatre; definitely a must see while on this city. Lastly is Dubai, a luxury destination. Explore and visit Emirates Tower; The Jumeirah Mosque, the most photographed mosque in all of Dubai; Dubai Mall, the world's largest shopping mall; Burj Khalifa, a megatall skyscraper and tallest artificial structure in the world; Palm Deira, part a group of artificial islands; Burj Al Arab, the world's only 7 star Hotel. The perfect combination for a perfect romantic getaway or family vacation. Combine Dubai, Abu Dhabi and Paris with private transfer and flight between cities. 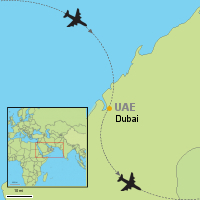 Combine Dubai and Berlin with flight between cities. A wonderful combination of stunning cities in Europe. 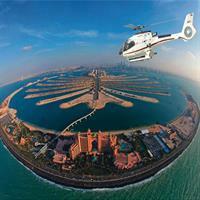 Visit Amsterdam and Dubai with a flight between cities. See all the art, museums, churches, historic palaces, parks and more than you can possibly imagine! This is a flexible package. Select your number of nights in each city, desired hotel and activities. Combine Dubai, Istanbul and Rome with flights between cities. A vacation package beginning in Greece, with a stay in Athens (the cradle of civilization and the birthplace of democracy), then combining the modern, cosmopolitan city of Dubai. Flight between cities. This is a flexible vacation package. Select your number of nights in each city, desired hotel and activities. Combine Dubai and Barcelona with flight between cities. Two worlds in one! Visit exciting Barcelona (the cosmopolitan capital of Spain`s Catalonia region, is known for its art and architecture. The fantastical Sagrada Familia church and other modernist landmarks designed by Antoni Gaudi dot the city) and modern Dubai (Blending western influence and eastern tradition, it offers a fabulous cosmopolitan lifestyle and is perfect for those seeking something different: man-made islands, the world`s tallest habitable tower, the world`s largest mall, a rotating tower and much more). Travel between them by flight. This is a flexible vacation package. Select your number of nights in each city, desired hotel and activities. Stunning Experience! Fly into the marvelous and luxurious city of Dubai and enjoy its spectacular buildings and exiting shopping malls. You can also visit The Jumeirah Mosque, the most photographed mosque in all of Dubai. 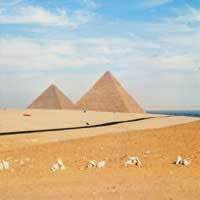 Then escape to Cairo where you can explore its breathtaking and world famous pyramids or walk down The Nile promenade. Finally fly into Luxor, famous for its ancient Egyptian monuments such as The Luxor Temple, Karnak Temple, the Valley of the Kings and the Valley of the Queens. This is a truly unique experience you won't want to miss. A taste of Asia, Europe and Middle East... Deep yourself into the magnificent, vibrant and luxurious city of Dubai; where you can visit Burj Khalifa, the tallest building in the world, or hit town and visit some of the many Mosques this city is known for. Then fly to Istanbul, the largest city of Turkey, and explore their dazzling Grand Bazaar, which will give you a taste of the real Istanbul experience. This marvelous city will amuse you with their richness in culture, many temples and great shopping and exciting nightlife. Combine Berlin and Dubai with a flight between cities. Please be advised: Ramadan is the holy month of spirituality and purification. This includes abstinence from eating, drinking, and smoking. Food and entertainment services in hotels and other public places may be affected if you travel during this holiday. 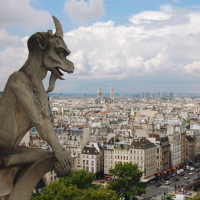 Combine Dubai, Cairo and Paris with flights between cities. Get a taste of the Middle East! Start this trip in Tel Aviv, often called 'the city that never stops', this was the first modern Jewish city built in Israel, and is the country's economic and cultural center. Then go to Jerusalem, a simply breathtaking city with some of the most iconic buildings and religious sites in the entire world. And lastly you will get to know Dubai, a chic travel destination filled with spectacular sights, a skyline filled with some of the most magnificent buildings in the world and packed with entertainment. This whirlwind European vacation package begins in Dubai (a cosmopolitan city with plenty of activities to engage in), continues through Athens (the cradle of civilization and the birthplace of democracy) and finishes in Rome (with centuries of artistic achievement and religious history running through the winding streets). This is a flexible vacation package. Select your number of nights in each city, desired hotel and activities. Stunning Experience! Start this exciting adventure and fly into Dubai, a luxury destination packed with spectacular buildings, exciting shopping and vibrant nightlife. Visit The Emirates Tower or The Jumeirah Mosque, the most photographed mosque in all of Dubai. Then escape to Athens, the cradle of civilization, full of mythology and stunning ruins. But that's not all, the beaches of the Athens Riviera, nightlife and gastronomy await. Lastly is Cairo, explore its breathtaking and world famous pyramids. Visit the capital's medieval markets by Khan El-Khalili, or walk down the Nile promenade. This is the trip you deserve! Problem free from start to end. Highly recommendable! Hotels -- excellent quality; great locations. Everything was amazing... Third time using you guys and will do it again soon.